The Magic Kingdom is running Disney's Celebrate America! - A Fourth of July Concert in the Sky for a whole week this year instead of just on July 3rd and 4th as they do normally. This was shot on the first night of those performances and then I shot from the Poly Beach for the 3rd. 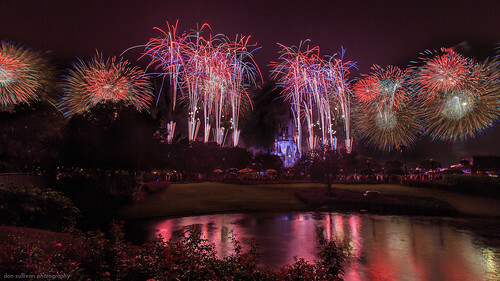 Looks like July 4th will be at DHS but I still have a few more locations I want to try and shoot this show over the next few days before we go back to normal Wishes next week.